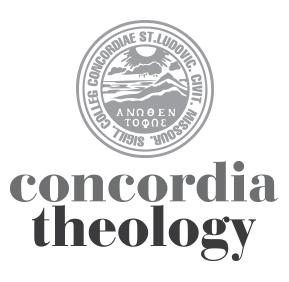 Concordia Seminary, St. Louis, will host its 9th annual Day of Homiletical Reflection on Wednesday, May 11, from 9:00 a.m. to 4:15 p.m. in the Seminary’s Clara and Spencer Werner Auditorium. The event is designed for pastors, students involved in homiletical education, and others interested in the proclamation of the Gospel in today’s world. The registration fee for the Day of Homiletical Reflection is $25. Download the 2011 Day of Homiletical Reflection brochure/registration form here. Dr. Troeger has written more than a dozen books in the fields of preaching and worship and is a frequent contributor to journals dedicated to these topics. His most recent books include Preaching and Worship; Preaching While the Church is Under Reconstruction; and Above the Moon Earth Rises: Hymn Texts, Anthems and Poems for a New Creation. He is also a flutist and a poet whose work appears in the hymnals of most denominations, including Lutheran Service Book. For three years Dr. Troeger hosted the Season of Worship broadcast for Cokesbury, and he has led conferences and lectureships in worship and preaching throughout North America, as well as in Holland, Australia, Japan, and Africa. Prior to his appointment at Yale, Dr. Troeger served as the Ralph E. and Norma E. Peck Professor of Preaching and Communications and vice president and dean of academic affairs at Iliff School of Theology. Sectional presentations include “All of Us for All of God” by Dr. Troeger; “Savior of the Nations Come” by Dr. Reed Lessing, associate professor of exegetical theology and director of the Graduate School at Concordia Seminary; and “Image-Based Preaching: An Example” by Dr. David Schmitt, associate professor of practical theology and The Gregg H. Benidt Memorial Endowed Chair in Homiletics and Literature at Concordia Seminary. The Day of Homiletical Reflection combines the annual Wenchel Lecture that promotes critical thought about preaching and practical enhancement in this art with the Ernie and Elsie Schneider Endowment for Excellence in Preaching that fosters support for innovative 21st century proclamation. For more information, contact the office of continuing education and parish services at 314-505-7486; ce@csl.edu; or visit the Seminary’s continuing education website.